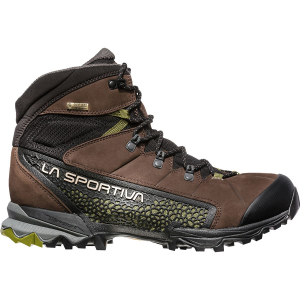 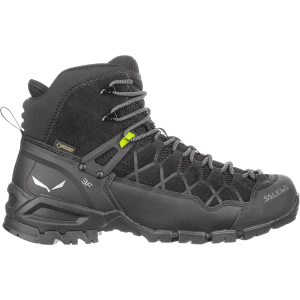 The Salewa Men's Alp Trainer Mid GTX Hiking Boots combine the lightweight comfort of hikers with the technical features of approach shoes. 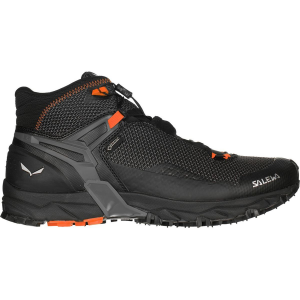 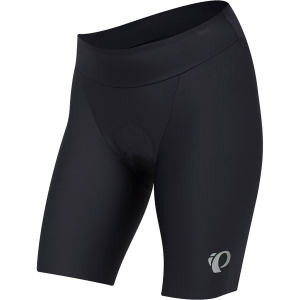 Their split leather upper maintains a flexible and comfortable feel when you're putting miles of rolling trails beneath them, while their 3F support system locks your heel in place when some extra rigidity is needed in exposed terrain. 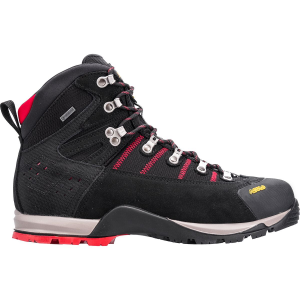 Climbing-style laces allow the fit of the boot to be customized, and with a Vibram approach sole between your foot and the ground, you can step with confidence when the trail turns slick.